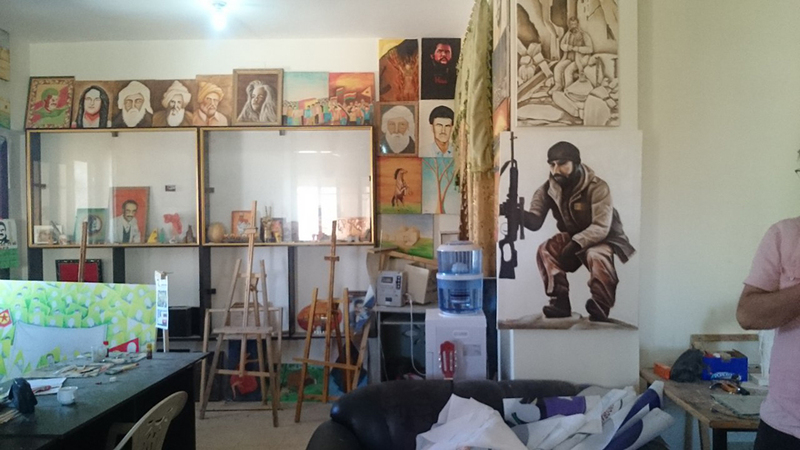 The first photo meeting visitors entering the TEV-CAND cultural centre in Kobane is that of Hozan Serhat, one of the members of Koma Berxwedan. 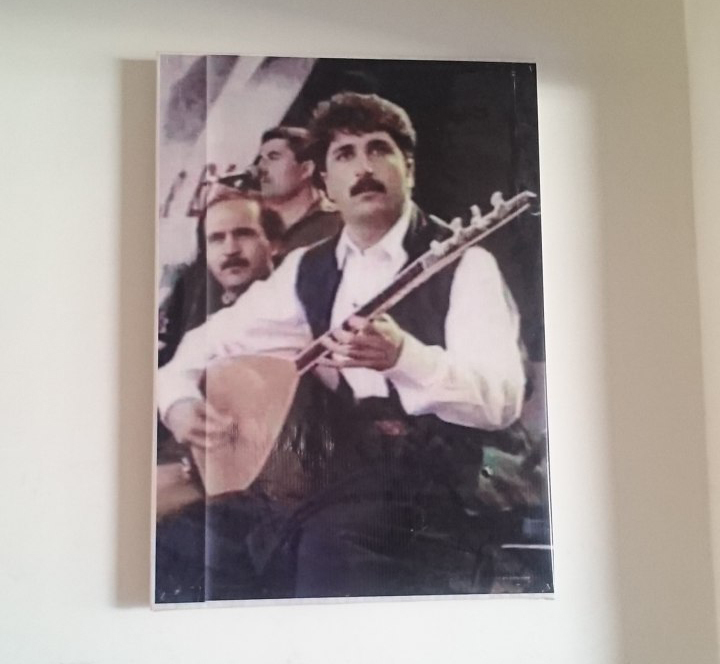 Hozan Serhat was a PKK guerrilla and a fine musician who played saz and composed some of the most precious songs in contemporary Kurdish music. His album, Hewler, a gem, its songs a ‘must’ for all musicians. 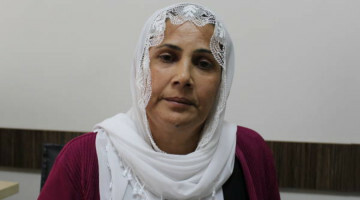 Hozan Osman is the co-chair of TEV-CAND cultural centre in Kobane. 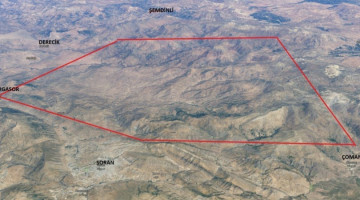 He welcomes ANF in the centre which has been taken over by TEV-CAND after the regime left the city. Before that, Hozan Osman says, in regime times, Kurds would meet at Bakir Kurd’s house. 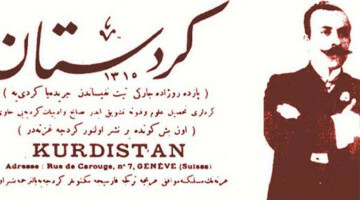 Kurd is a dengbej, kurdish storyteller. 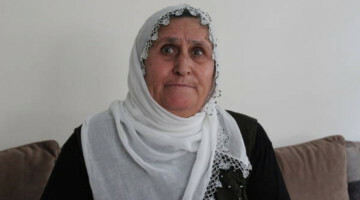 The regime, says Hozan Osman, “did not allow Kurdish ceremonies to be held, but in Bakir Kurd’s house we were able to share stories and songs. In 2013 we moved into this building”. 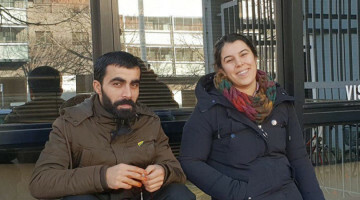 In fact the building being shown to us used to be an Arabic Cultural Centre, but after the victory of the Rojava Revolution it has been turned, as Hozan Osman proudly says, “into a democratic cultural centre, where all cultures and languages have their own status and are celebrated”. 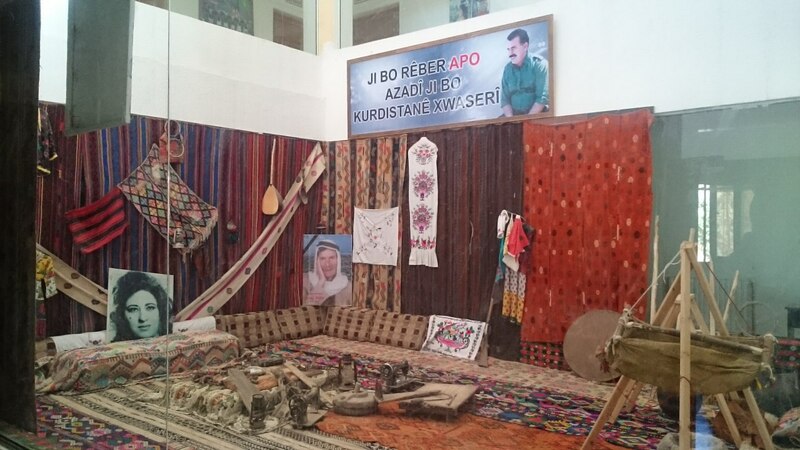 In other words, this is the house of the plurality of cultures of languages of the city of Kobane. “Everyone is free to celebrate in its own culture”, says Hozan Osman. The centre’s main activity is music. Here children get courses in a variety of instruments but can get also singing classes. “Most teaching is done through playing activities”, says Hozan Osman. There is a recording studio and classes of folklore and dance are also given. “It wasn’t easy - admits Hozan Osman - to get people used to celebrate freely in their own culture and language again. It has to be remembered that in regime times all cultures except the Arabic were considered by the regime as ‘something bad’. And with the years, people got to feel that their own culture and language was something which needed to be kept and celebrated in secret, or even forgotten or set aside. In this sense - says Hozan Osman - the assimilation policy of the Baath regime worked”. 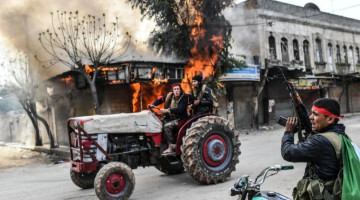 The Autonomous Administration since its establishment in Kobane and the rest of Northern and Eastern Syria, has always given culture - or rather cultures in plural - a prominent level. 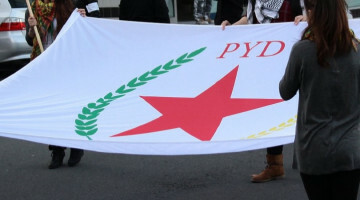 In fact, cultures (together with languages) are one of the pillar of the Democratic Autonomy model proposed and implemented in the liberated areas of Northern and Eastern Syria. So the Administration made extraordinary efforts to ensure all cultures and languages were given opportunities and spaces where to manifest themselves. “Children - says Hozan Osman - are coming to this cultural centre to learn about their traditional instruments, music, dances, language. We have opened a cultural school and now these subjects related to all areas of culture are taught academically”. Hozan Osman points out that one of the attempts by all regimes is that of destroying other people’s cultures. 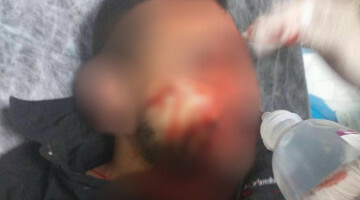 “Indeed - he says - we saw this, in all its brutality, in Afrin when the Turkish state invaded the city and villages. Turkey wanted to erase the cultural values of the people of Afrin, and it did it violently, by changing the names of streets and schools replacing the original ones with Turkish names”. 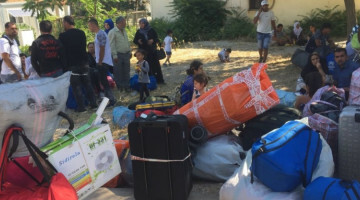 Some of the families who were forced to flee Afrin had found shelter in Kobane and TEV-CAND has been working with children since they arrived here. 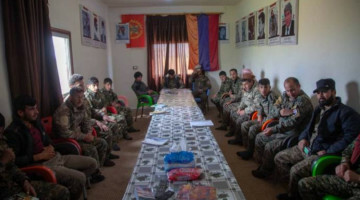 “There are now around 25 children coming to the centre - says Hozan Osman - to be trained and to recuperate their culture”. 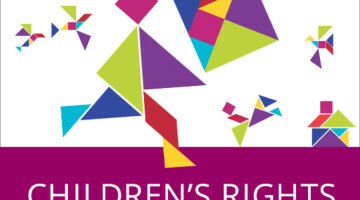 Working with children, says Hozan Osman, “is vital for us, because children are the future of our lands. We promote all cultures in the same ways, which is why we have opened smaller centres in villages where there are other cultures and identities as well. No one is discriminated in the Democratic Autonomy model”. We are talking while walking around the centre. The library has some 13,000 books, a little treasure for all culture lovers. “This building - recalls Hozan Osman - were heavily damaged during the DAESH siege, in 2014. 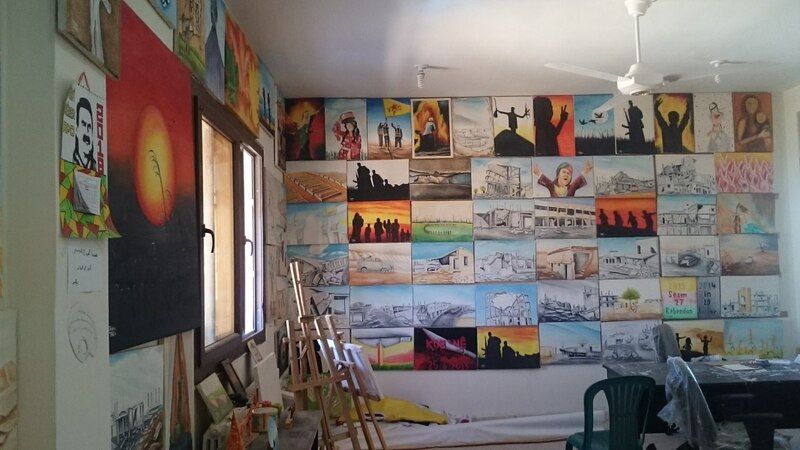 Artists who worked for this centre have fallen martyrs defending Kobane”. A stone remembers and pays tribute to the martyrs of TEV-CAND. Hozan Osman reiterates the importance of working with children and the population living in the villages around Kobane. “Every day - he says - we go to the villages and we present a film or have a talk”. Cinema is the other field which TEV-CAND is promoting. Indeed this year the Rojava Film Festival will be held in Kobane, from 13 to 19 November. 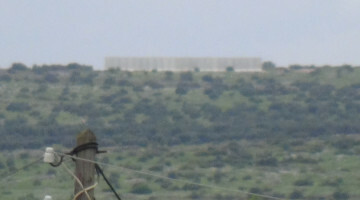 A Cinema Commune, on the style of that of Serekaniye, has been created in Kobane as well. A group of film makers have been producing short films and scripts for feature films are currently being written. We continue our tour of the centre, going to the first floor. Here an entire room is dedicated to art. In fact, it is more like a painting workshop. Paints are hanging from the walls and laid on the floor. 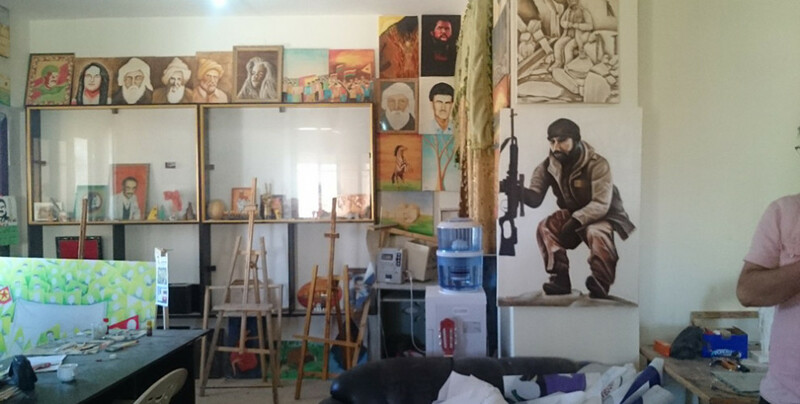 Many are portraits of the young YPG and YPJ martyrs who liberated the city in Kobane, in January 2015. 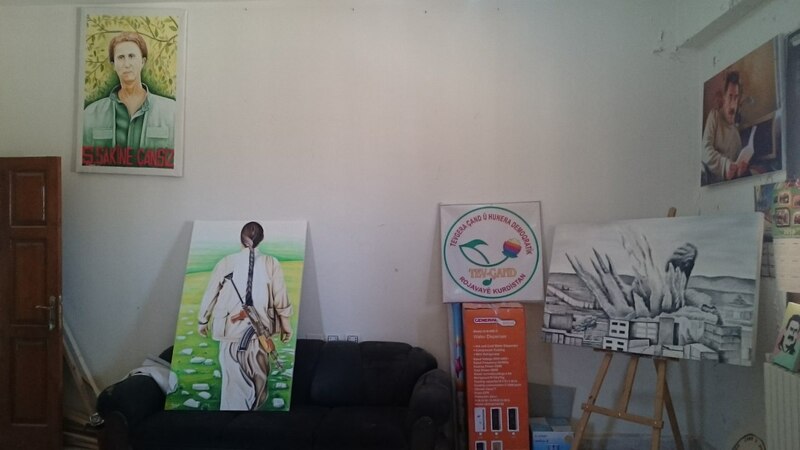 There is a portrait of Sara, Sakine Cansiz, one of the founders of the PKK and a source of inspiration for young Kurdish women. She was murdered in Paris on 9 January 2013, together with two other women Kurdish politicians, Fidan Dogan and Layla Saylemez. 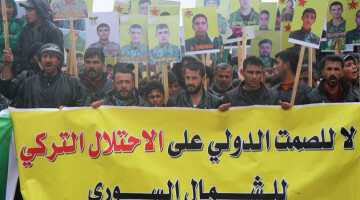 There are portraits of Kurdish People’s Leader Abdullah Ocalan, who has imagined, dreamed and theorised the Democratic Autonomy model which is now being successfully implemented in Northern and Eastern Syria. Beside portraits are more abstract paintings, landscapes, mythological legends and stories. We go downstairs again and stop in front of a little ‘museum corner’. Here the photo of Ayşe Sen, old instruments and beautiful kilims. “We are also working on theatre projects. - says Hozan Osman - We have been rehearsing a play and we will be performing it soon. The play is in Arabic and Kurdish languages, which are the main languages in the Canton.